Google’s new Pixel 2 phones come with a number of nifty features, including one that lets the phone automatically identify a song that’s playing in the background. Called Now Playing, this works like the Shazam app of old, except it doesn’t need you to fire up an app. Resting on a table, the phone automatically listens to what’s in the background and shows the song title on the locked screen. It doesn’t need a data connection and doesn’t send information to Google – a change in the online giant’s thinking there – so it can work offline, even on a plane. Strangely, though, Google has the feature turned off by default. It’s also not that straightforward to get things fired up, for some reason. 1. Go to your Android settings. 2. At the top, search for Now Playing. Click on the first option available. 3. You have to turn on the feature. Not all songs can be detected because Google only keeps a database on your phone that contains hundreds of thousands, but not millions, of songs. For a more accurate match, going online is still the thing to do. How well does Now Playing perform? 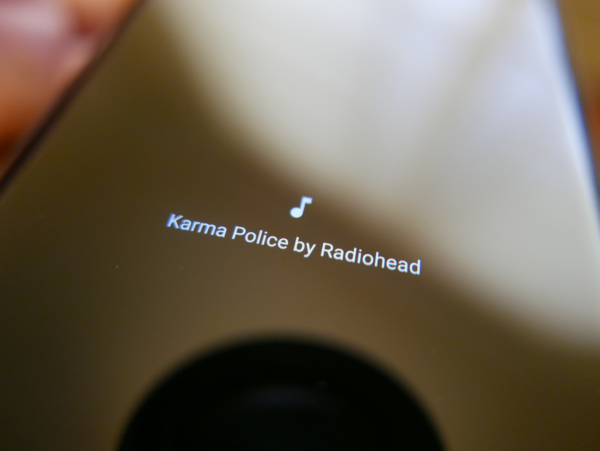 Well, popular tracks like Radiohead’s Karma Police are easily recognisable. But play Fitter Happier from the same album, which features a computer voice in a monologue, and the artificial intelligence (AI) seems unable to comprehend. A loop in the machine? What happens when AI stares itself in the mirror? Does it like what it sees? Another question for another day. Meanwhile, enjoy another “frictionless” experience offered by your new Google Pixel 2 gadget.